The powerpoint (you-tube-ized) from my talk a couple of days ago is here. I presupposed a picture of female attrition that I'm now less sure of. 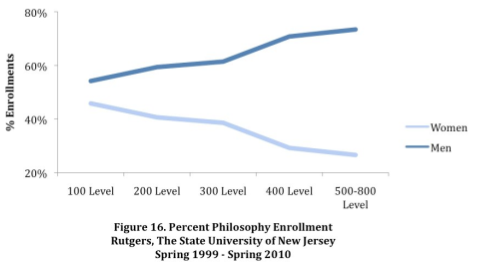 Based on this graph from "Gender and Philosophical Intuition" (Buckwalter and Stich), I assumed women are less attracted to philosophy classes starting very early on. Then there's also attrition after the undergraduate course series. You see it on the right in the graph above, but also in the figure below, from a paper about women in philosophy in the UK (Beebee and Saul). The reason why the left side of the first graph seemed important is that it suggests something is going on in the lowest level undergraduate classes on up to drive away women, or at least attract men more than women. Buckwalter and Stich claim one factor is that philosophy classes are highly intuition-driven, and male students find their intuitions in synch with the instructor's more often than female students. My colleague Justin points out that the pattern on the left side of the first graph could actually just be due to the fact that male and female have the same course requirements. If all have to take one lower level philosophy class (or even if they have a choice of philosophy or something else), lower level philosophy classes are bound to be more gender balanced. That's significant, because attrition at the lowest levels would have pointed to there being something about the classes themselves that attracts men or repels women. Attrition at the higher levels doesn't point so unambiguously to the classes themselves as attracting or repelling, since now there's a new factor--the way males and females view choosing philosophy as a major and pursuing it as a career. If we're explaining later attrition, the intuitions-out-of-synch theory starts to have a lot more competition. 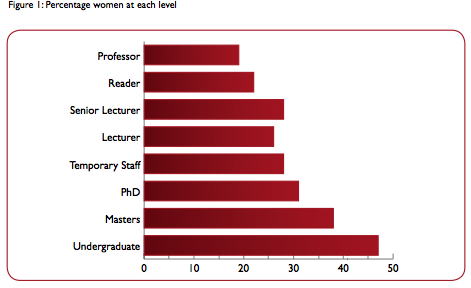 Which makes me think about philosophy as a career choice, and how that looks to men and women. Philosophers spend most of their time on their own, thinking intensely, addressing huge questions, coming up with their own rigorously supported answers, but with the awareness that general acceptance is unlikely, and that people will keep addressing the questions for hundreds of years, as they already have for thousands of years. 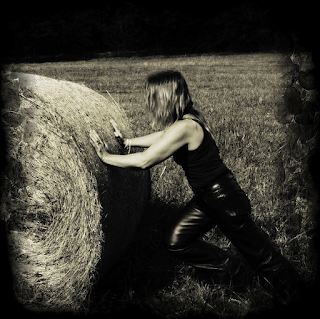 There is something just a little Sisyphean about the whole endeavor, and is that more troubling for women than for men? I would at least throw it in the basket with various other hypotheses. I'm afraid my comment here is only addressing the pointlessness part of your post. I think it's likely that the huge questions in philosophy are TOO huge & thus poorly framed. We should be more modest & examine the foundations of our assumptions & our language. Jean quote: "Philosophers spend most of their time on their own, thinking intensely, addressing huge questions, coming up with their own rigorously supported answers, but with the awareness that general acceptance is unlikely, and that people will keep addressing the questions for hundreds of years, as they already have for thousands of years"
If "their own rigorously supported answers" are generally not accepted perhaps their answers are not so rigorously supported after all. Is philosophy making a difference in the world? Does it have utility? ** How do you define this (word, term, idea)? ** What does this idea (passage, concept) mean? ** What would be a specific, concrete example of this? I think the Sisyphean task of philosophy is ... well, a bit Sisyphean, but I don't think it's worthless--not at all. There's the question of rigor, and the question of utility. I can't see saying an endeavor must have straightforward utility to be worthwhile, so let's set that aside. As to rigor--well, there's got to be some flaw somewhere, if people reach inconsistent conclusions, but that's not to say they don't advance our thinking about he subject at all. I think anyone who spends a good chunk of time studying philosophy will come out of it with a better understanding of many subjects. Progress is just not quite as clear and irreversible as in other fields. If you discover Washington didn't chop down a cherry tree, that permanently changes the history books for all time. In philosophy, there isn't quite that sort of option to write something in stone and never look back. I think that's motivationally significant, so perhaps relevant to the gender question, but not a reason to throw the whole enterprise into the flames. Your slides that you posted here were fascinating, about the nature of the coursework. But I relate more to your last paragraph, about the power of the prospective career choices. Those who cannot remember the cartoons are condemned to repeat them.